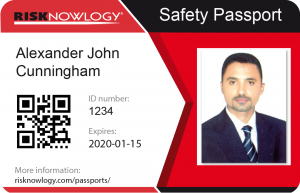 Risknowlogy offers as part of their SILComp® training program TUV and other SIL related functional safety training. Get trained, get competent, get certified. Each training comes with a personal certificate, an online Safety Passport, a listing on the (TUV) website, an ID number. 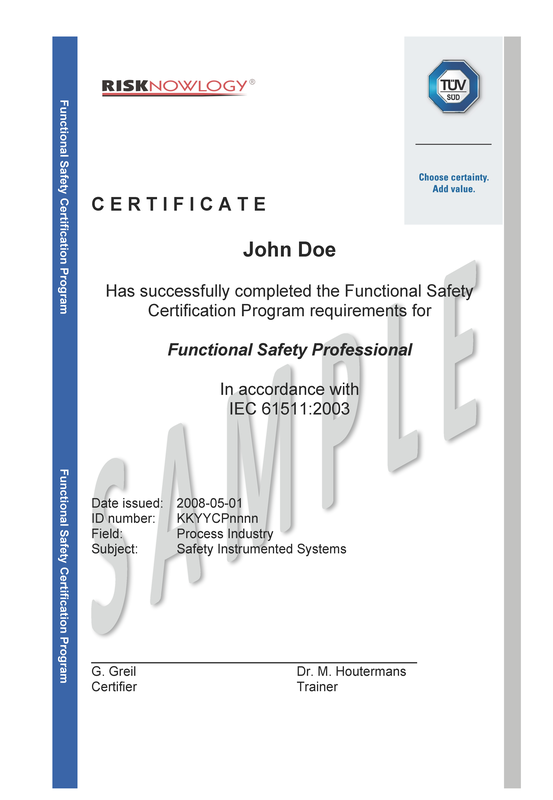 These courses are for professionals dealing with Safety Instrumented Systems that want to get their competency certified according to IEC 61511. 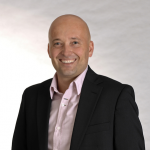 Why should you get trained by Risknowlogy? 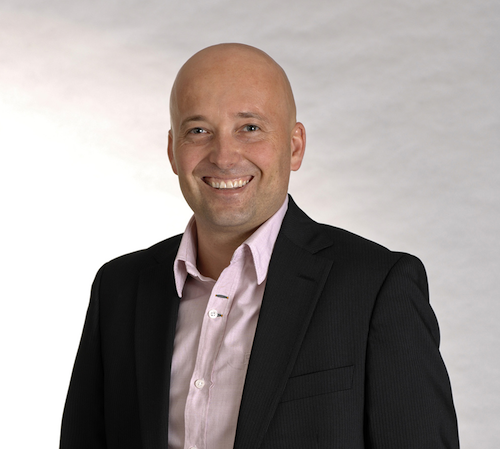 My name is Dr. Michel Houtermans, I am the founder of Risknowlogy. Did you know in the nineties I used to work for TUV? I started as a project engineer, then became a project manager and finally I was the functional safety department manager in the U.S. In 1998 I personally created the TUV people certification program. I turned the product from a basic idea into a marketable and finally very successful training program. The training course is making good impact in the work we do here. It was a good course. Mr Michel was quite outstanding. The training course and the test (altough it was really hard one) has been excellent and I will promote this training to my colleagues also. The trainer is very competent and he was able to deliver the content of the course in a very interesting and active way. Plain and simple, it's a good course. I had parts of the puzzle and couldn't work out how they all fit together before I attended the course, now I know. 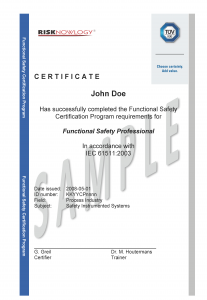 It covers all the material needed for a solid understanding of functional safety. The course maybe intense just by nature of the topic but it is an engaging course delivered by someone who is obviously very experienced and enthusiastic about the topic. Using this opportunity I would like to thank Dr. Houtermans for excellent course and knowledge he shared with us. The course was very well structured and delivered with professional passion which made it very interesting and influential. I enjoyed the course very much! I am highly honoured with the news of your message that I passed the TUV Functional Safety Examination. While I am excited at the news, I must say I am equally humbled by the result. It was not an easy examination. I would like to use this opportunity to profusely thank Mr. Didier Turcinovic for the outstanding delivery of the course. It was an excellent delivery which was attested by the standing applause and the positive feedback from all participants at the end of the training. Participants were unanimously in favour of his return to my company. It has been a pleasure to meet your team and I must admit that the experience and your qualified leaders have enhance my skills in Functional Safety Engineering. Congratulations to RISKNOWLOGY for its well done work and also to Mr. Ricardo Vittoni who has been an excellent chairman in this purpose. I will recommend RISKNOWLOGY wherever I be.